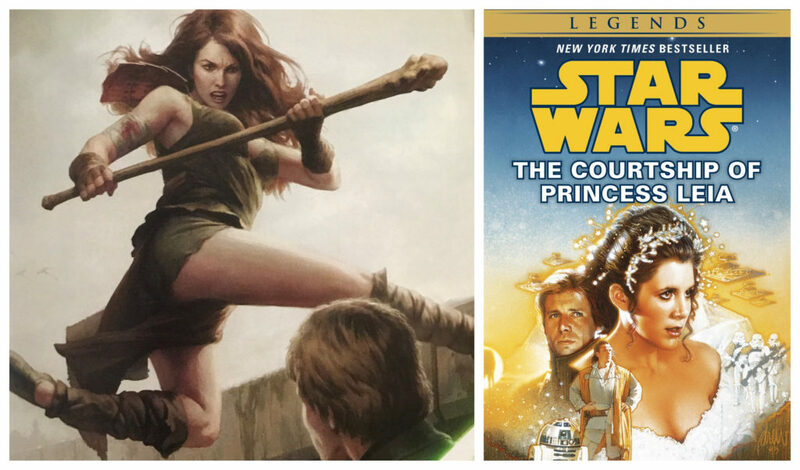 Teneniel Djo from The Essential Reader’s Companion (left) & the cover of the book she debuted in The Courtship of Princess Leia. Teneniel Djo was a part of the Singing Mountain Clan of the Witches of Dathomir and became Queen Mother of the Hapes Consortium shortly after she married Hapan Prince Isolder. Teneniel and Isolder had a daughter named Tenel Ka who was Day 98 for 365 Star Wars Women. If the paragraph above makes no sense I recommend reading her Wookieepedia page or reading the book The Courtship of Princess Leia – which is the book Teneniel Djo debuted in. She also appeared in a couple of book in the Young Jedi Knight and The New Jedi Order book series. If you don’t have time to read The Courtship of Princess Leia (or have just heard about it and don’t want to) check out the Chapters 1-5 recap from Rogue Podron below.